OK, it’s not home automation - but it is something you might like in your high-tech home! 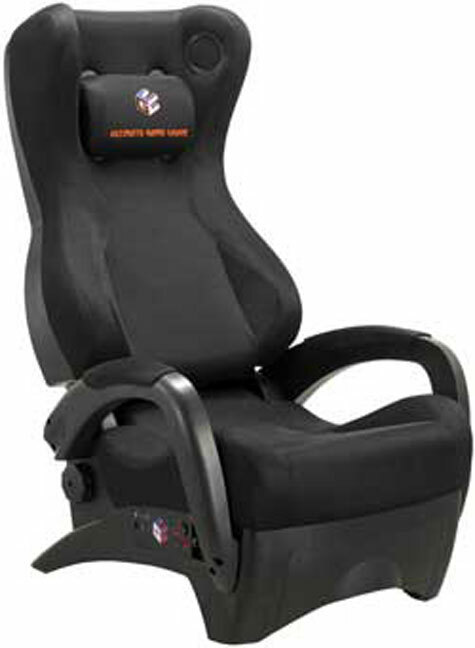 The £225 Renegade Gaming Chair is compatible with most gaming system including; Xbox, Xbox 360, PS3, PS2, PSX, Gamecube and PC/Mac (USB 2.0). “Available now the Renegade allows gaming fanatics to connect their own wired controller to the chair, enabling them to retain their favourite and familiar gamepad whilst integrating the sensational features of the chair. For those who want the maximum effect the chair shakes rumbles and rocks in time with the gaming action, headset speakers provide 3D sound whist ground-effect lighting adds that extra dimension to explosive action. 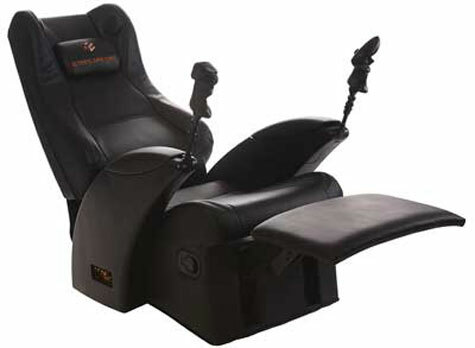 With reclining action for comfortable gaming, this great gaming chair also converts into a relaxing massage-recliner complete with kick plate. Compatible with all major gaming consoles, the chairs sport a range of fabulous features designed to improve comfort and seriously enhance gameplay experience. * A fantastic UGC patented 12 motor vibration system that besides giving the most authentic shakes and rumbles, out-shaking even the washing machine cycle. * Beverage and remote control holder - you need never get up again! And don’t worry if you spill anything in excitement - the chairs are made from stain resistant fabrics.